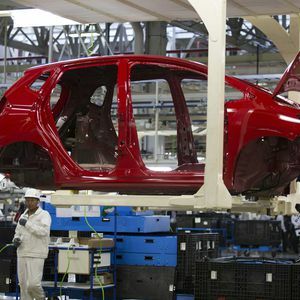 The push to invest in Mexico’s flourishing auto industry has brought Korean auto parts makers to northern Mexico to supply Kia Motors Co. , which is building a large assembly plant in the border state of Nuevo León. The chief executives of 11 component manufacturers, most of them subsidiaries of Hyundai Motor Co. of which Kia is also an affiliate, signed agreements with state officials in the state capital Monterrey for investments worth about $1.5 billion. Kia announced its Mexico investment in late August, joining earlier announcements by and alliance of Renault-Nissan and Daimler, and Germany’s BMW to build luxury SUVs in Mexico, mostly for export. Audi, a division of Volkswagen AG , will begin producing its own luxury SUV s next year at a new plant in southeastern Puebla state. Both Honda and Mazda began producing compact vehicles in early 2014 at new factories in central Mexico.